Donated by Danena ‘Ena’ Rowlings in 2013. Ena was formerly the president of the board of trustees of the Twin Oaks Memorial Hospital. Fonds consists of photocopies of records from the Twin Oaks Memorial Hospital. The records appear to have been reproduced as part of a display for the hospital, possibly created by Ena Rowlings. The records include correspondence, financial records, posters, policies, regulations, and mandates. Also included are original photographs. Donated to the Eastern Shore Archives by Ena Rowlings. 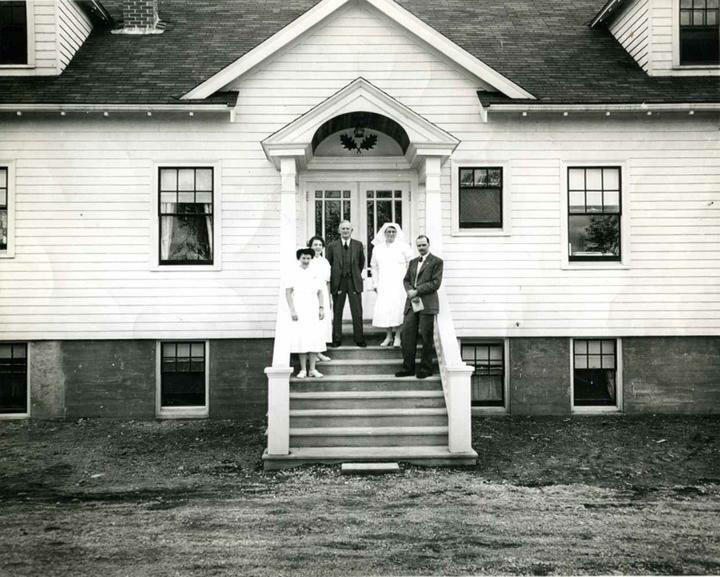 The hospital was known by a number of names over the years, including the War Memorial Hospital, Twin Oaks War Memorial Red Cross Outpost Hospital, Twin Oaks Memorial Red Cross Hospital, Twin Oaks War Memorial Hospital, Twin Oaks Memorial Hospital. A number of artefacts were included in this donation. Includes: 38 photographs, 10 folders of textual records.